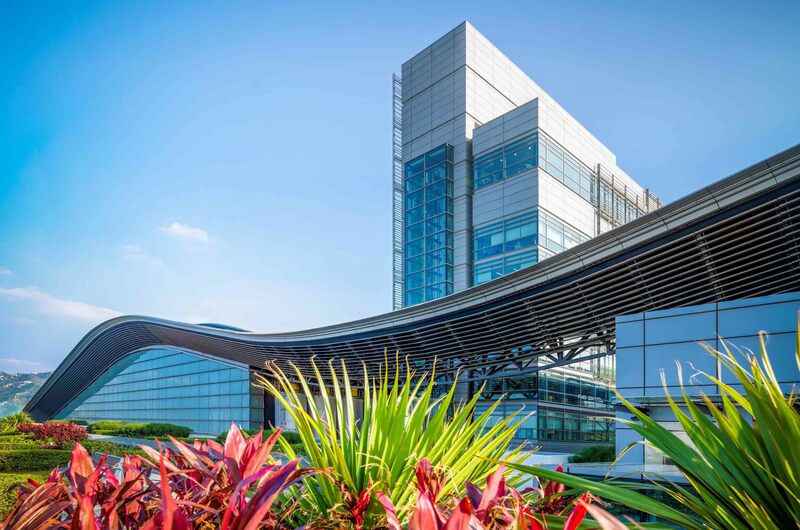 It adopts wave-form and streamlined architectural design of the main plant building while the flue gas stacks are neatly concealed within the administration building. 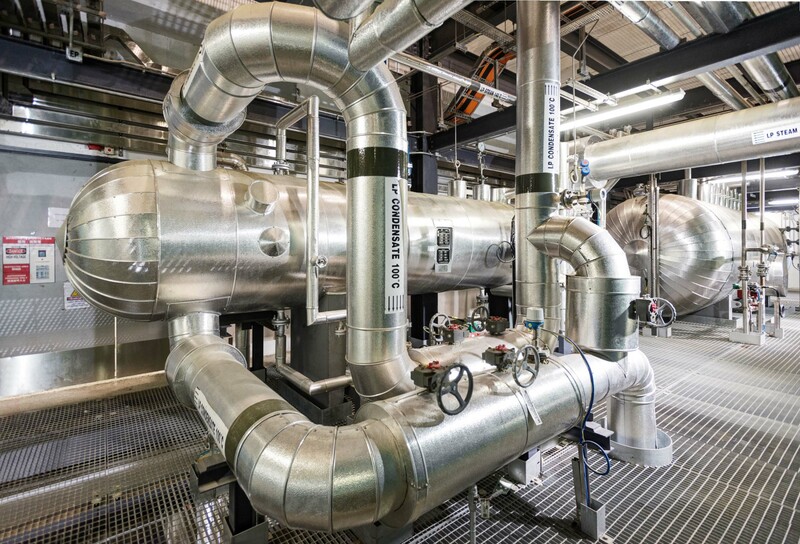 Heat energy from the incineration process is recovered and converted to electricity, making it a truly sustainable solution for waste management in Hong Kong. Potable water and process water are generated on-site by desalination of seawater drawn from Deep Bay. The equipment can be also viewed through windows at T ▪ GALLERY. T ▪ GARDEN - An outdoor landscape area featuring Fountain Garden, Leisure Garden, ZEN Garden, Wetland Garden and a heated footbath. T ▪ GALLERY - A place to view the daily plant operation through windows, supplemented by life-size models of the plant equipment. 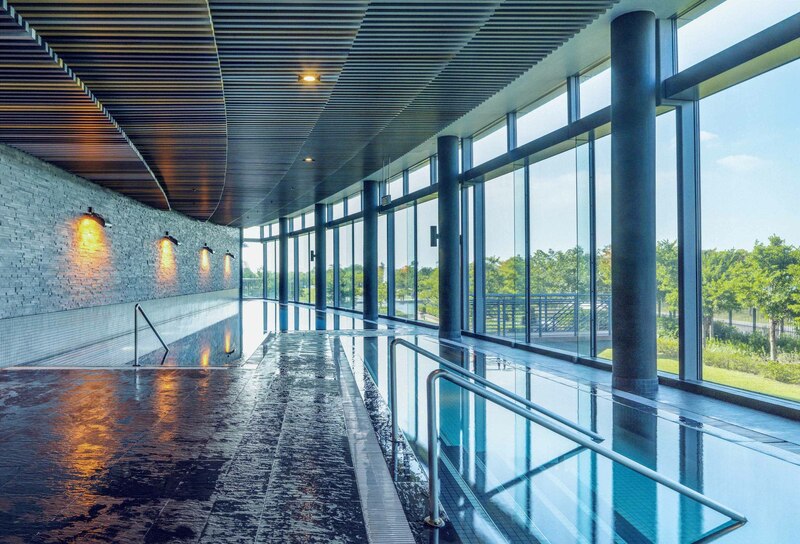 T ▪ SPA - 3 spa pools with different temperatures to demonstrate the benefits of “waste-to-energy”. T ▪ CAFE – A self-service eco-cafe providing healthy refreshments in an educational setting. It is also a showroom for upcycling furniture made by the ex-pier’s fender wood. T ▪ HABITAT – a reinstated bird sanctuary providing a home for natural wildlife. 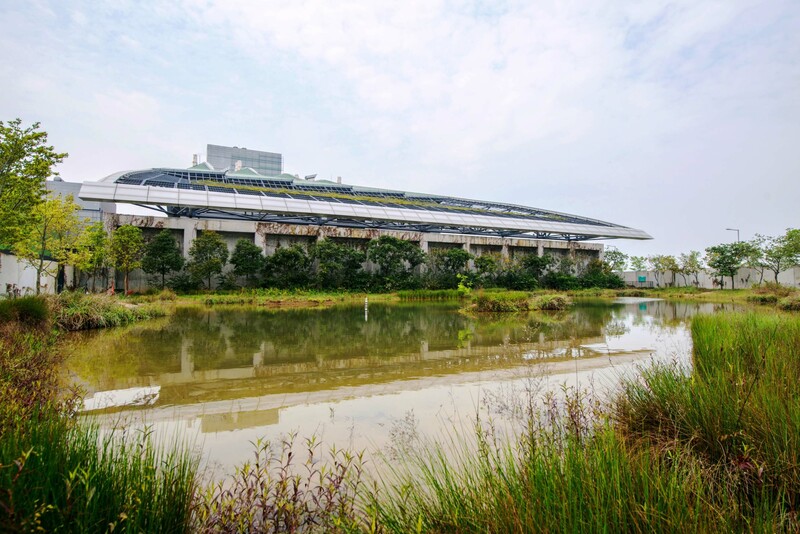 T ▪ PARK, located at Tsang Tsui, Tuen Mun, is a state-of-the-art sludge treatment facility adopting a technology known as “fluidised bed incineration” for treatment of sewage sludge collected from all major sewage treatment works in Hong Kong, with a maximum treatment capacity of 2,000 tonnes per day. The final products of treatment are mainly inert ash and residues that have been reduced to 10% of the original sludge volume, hence greatly reduce the pressure on landfills. The “T” stands for "transformation", connoting our vision to embrace the concept of “turning waste to energy” and “driving changes in attitude and behaviour towards a greener lifestyle”. 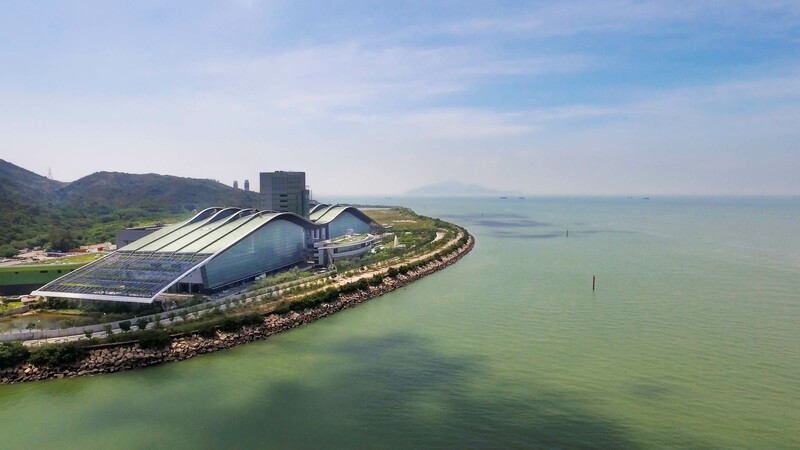 It is a unique facility combining advanced technologies of sludge incineration, power generation, seawater desalination and wastewater treatment in one self-sufficient complex. It also features a variety of recreational, educational and ecological facilities together with a landscape area for enriching visitors’ experience. 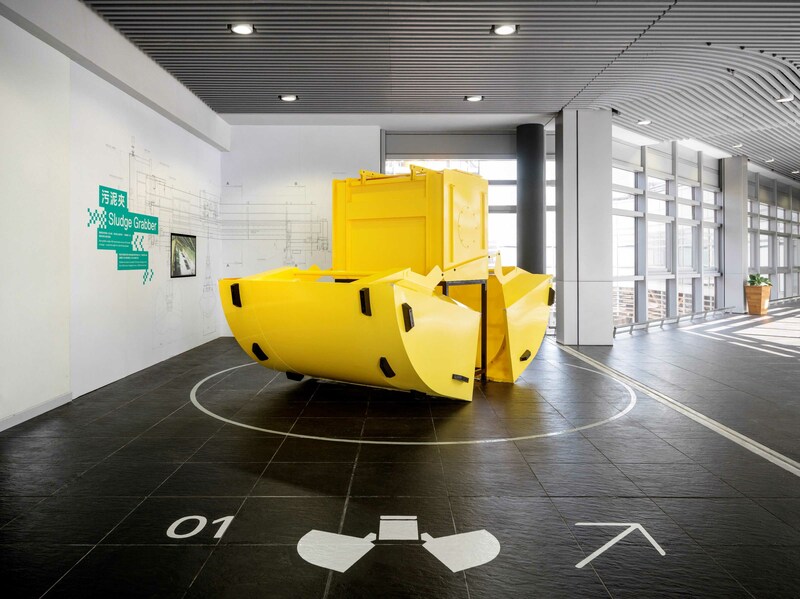 For more information, please visit http://www.tpark.hk and watch the Waste-to-Energy Journey Video. 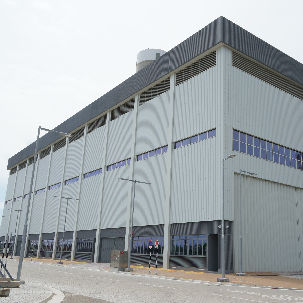 The heat energy generated by the sludge incineration process is recovered and converted to electricity to run the facility itself, while up to 2 megawatts of surplus electricity can be exported to the power grid, enough to power up to 4,000 households. 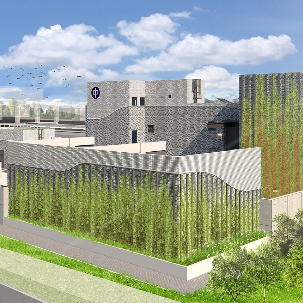 More than 70% green coverage, including a landscape garden, a wetland habitat for natural wildlife and green roofs. 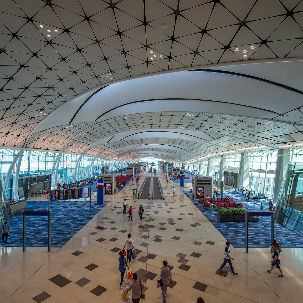 1,200 trees and 350,000 shrubs, mostly native species, were planted to exhibit Hong Kong’s homegrown beauty. The streamlined architectural design of the main plant building blends in with the surrounding scenery, while the flue gas stacks are neatly concealed within the administration building. The building design enables optimal use of daylight and minimises artificial lighting. Green building roofs provide extra heat insulation. A “full life-cycle” concept was adopted during design and construction. The manufacturing of building materials, processes of construction, delivery of equipment as well as the planning of eventual dismantling and waste disposal all follow stringent environmental guidelines. Eco-materials like low emissivity glass, paving blocks with recycled constituents and recycled plastic timber decking were widely utilised as building and landscaping materials. Pulverised fuel ash (PFA) excavated in-situ (T ▪ PARK was built on a PFA lagoon) together with some construction and demolition wastes generated from other projects were reused as backfilling materials. 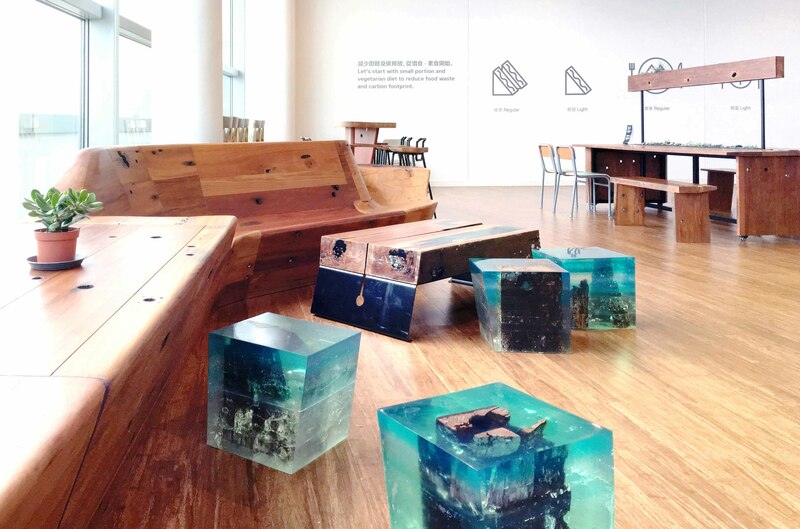 A large number of fender woods from the former Wan Chai Ferry Pier and other wastes were turned to upcycled furniture for use on site. 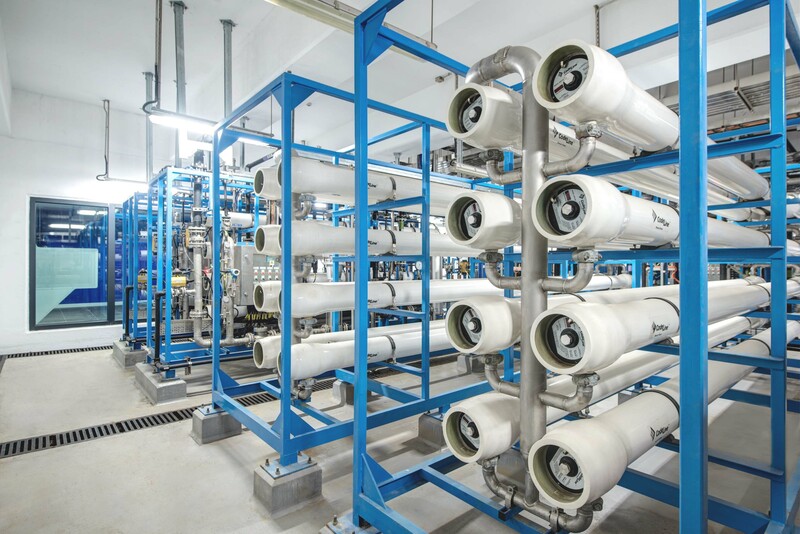 Potable and process water is generated on-site through a seawater desalination plant while rainwater is harvested for non-portable uses. All wastewater from the facility is treated and reused for irrigation, flushing and cleaning to achieve “zero effluent discharge”. T ▪ PARK ▪ So Green! 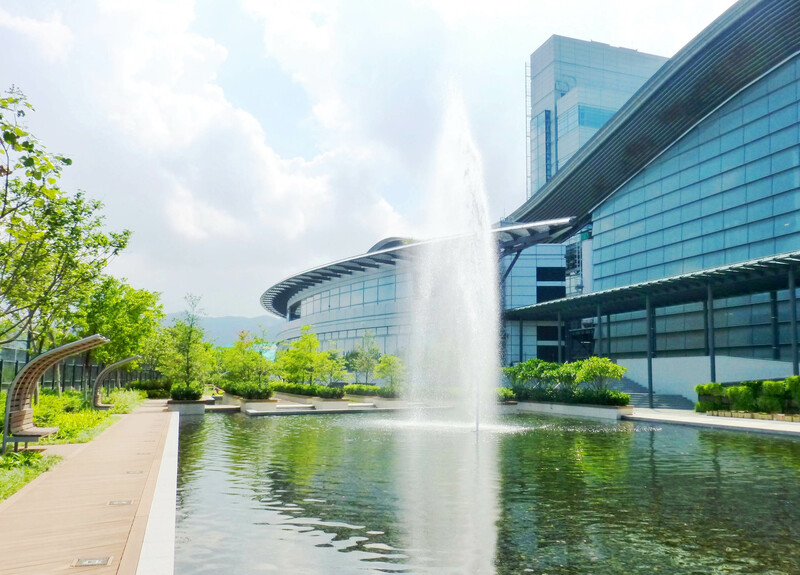 T ▪ PARK is a showcase of sustainable building and a new milestone of green infrastructure in Hong Kong. 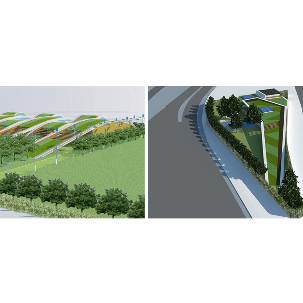 In addition to serving a sludge treatment function, it is also a place to nurture learning and concept in green living through its educational, recreational and ecological facilities. At its Environmental Education Centre, one will experience the benefits of “waste-to-energy”, learn about the culture of recycling/upcycling and be inspired about the importance of sustainable development. T ▪ PARK receives world-wide recognition as an exemplary project of its kind, and won a series of monumental awards.